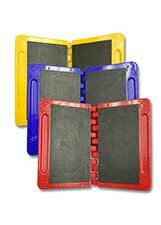 When news reports say to watch out for black ice. 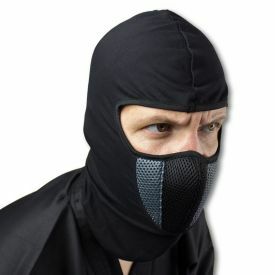 They really mean the Black Ice Ninja, who wears the Black Ice Ninja Costume. 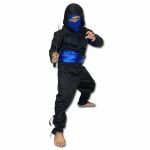 Little is known about this stealthy assassin except that he wears an authentic black ninja gi and has a deep blue mask to cover his face. 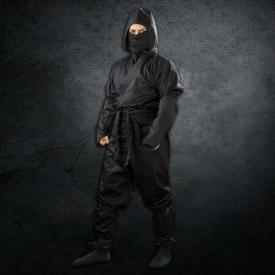 His ninja uniform is designed with extra durability for when he goes on his ninja missions. 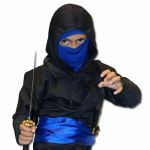 He also has a matching blue waist wrap, though his victims only see a black and blue blur before they find black and blue from his attacks. 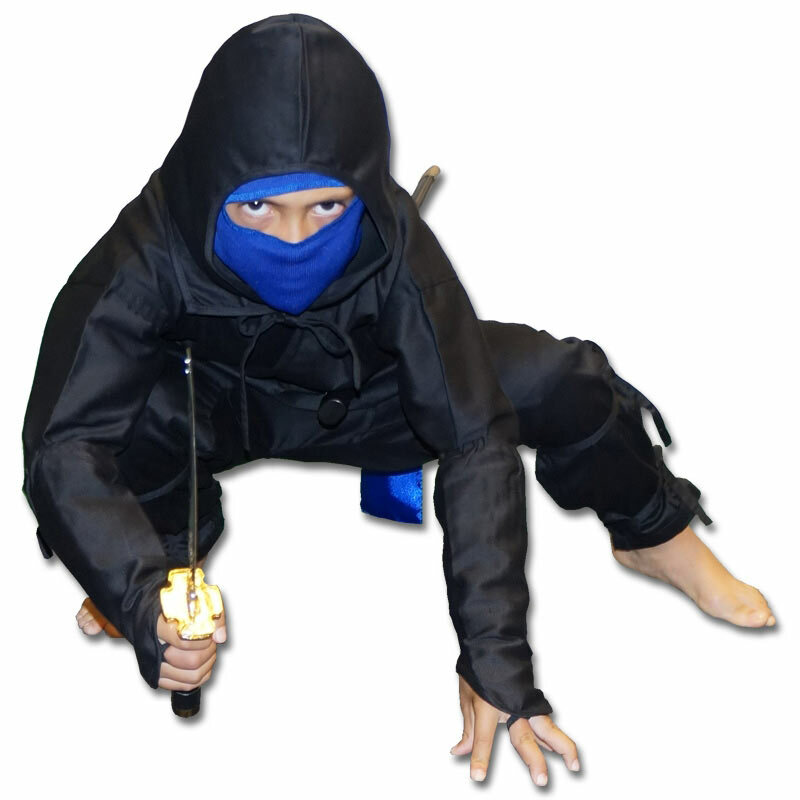 This is the reputation that follows anyone who wears this black and blue ninja costume. 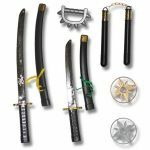 Along with knowledge that those around you will be gripped with fear, you also get a set of plastic ninja weapons to give you power and versatility. 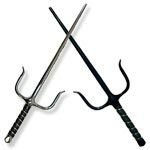 You have two ninja stars to distract your foe, a set of nunchucks to keep them back, a set of spiked knuckles to give power to your punches, and two swords for double wielding. 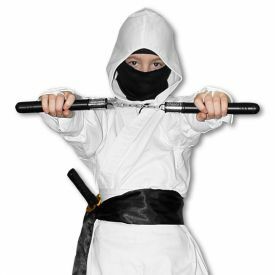 This costume comes in all sizes, so you don't have to worry about being "too old" to go trick-or-treating. 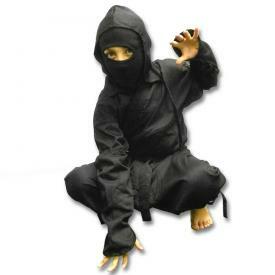 You and your whole family can dress in ninja costumes for Halloween or for cosplay at your local ninja convention. 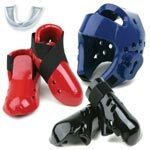 Order today and let the fun begin. 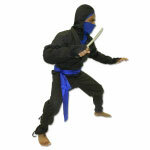 Includes an authentic black ninjagi with blue mask and blue waist band. 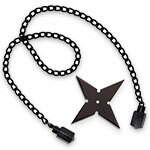 Also includes a plastic ninja weapons pack with swords and other fun accessories. 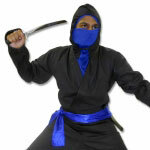 Black ninja uniform includes a jacket, pants, arm gauntlets, blue mask, and hood. 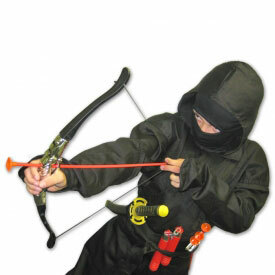 Jacket has a hidden inner pocket to stash additional weapons or candy.